I needed to mock up a few graphics and found that Second Life was a good 3D graphics package to create some quick graphics to print out and play test. 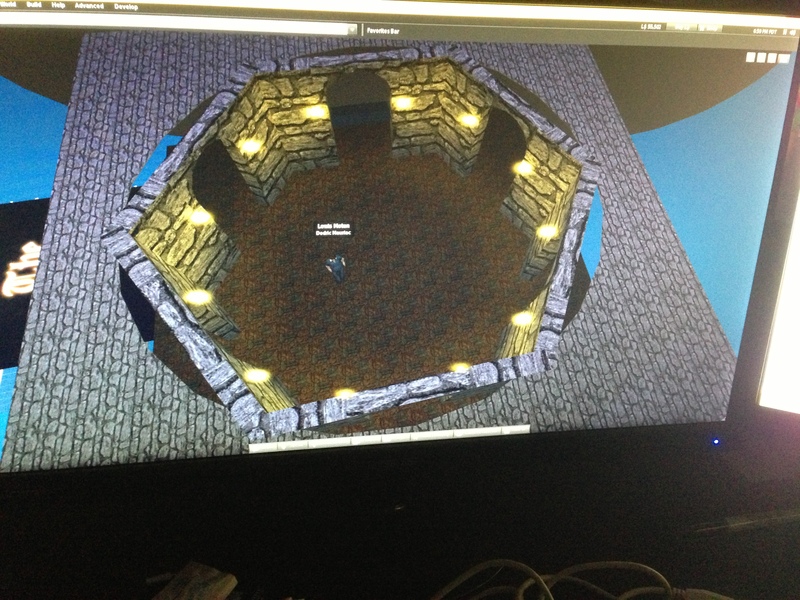 I first started out building up a crude hexagon with some basic textures I had in my inventory. I added some lights and setup my camera to look strait down at the tile. This is the image I can use to print off. 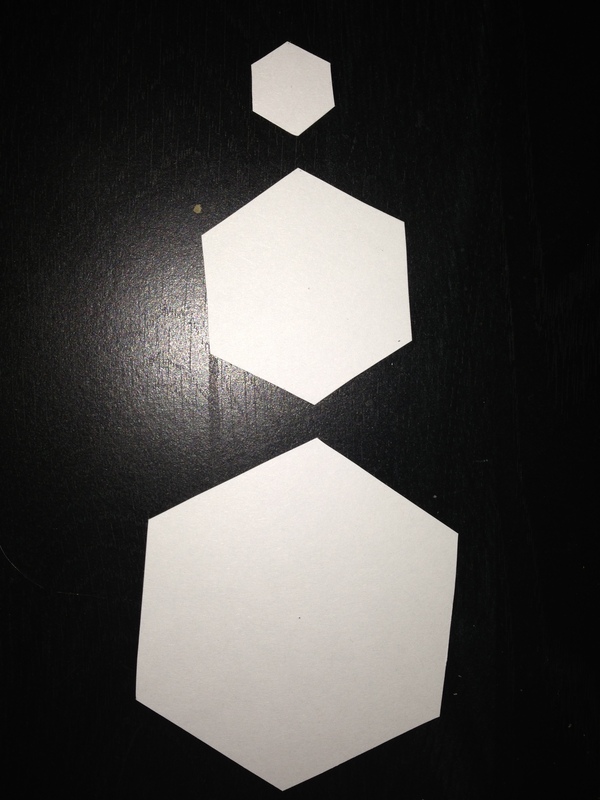 When I was looking at different options available for me to print with The Game Crafter, I cut up some index cards to match the dimensions and get a visual on their actual sizes. 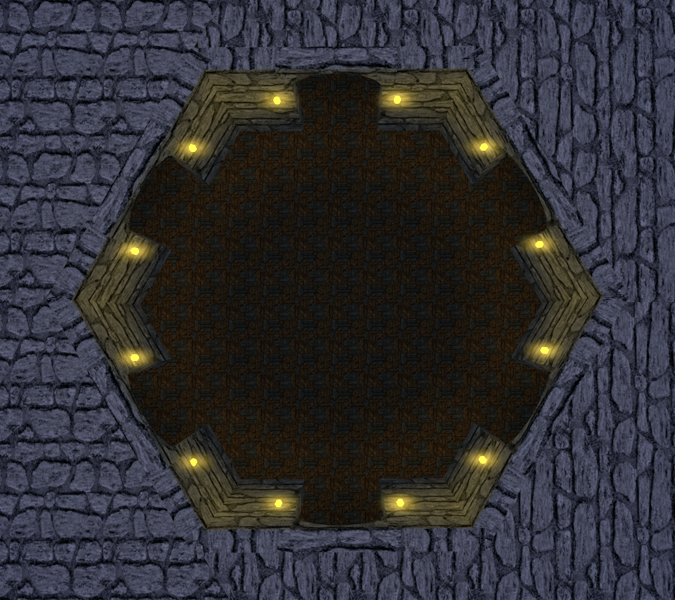 My first attempt at determining how to tiles would look. I started out by making a system of caves. Over time, I made many different versions of tiles. Some where used just to identify the possible combinations rather than looking like tiles. I created tons of tiles and kept working at different ways to use them. 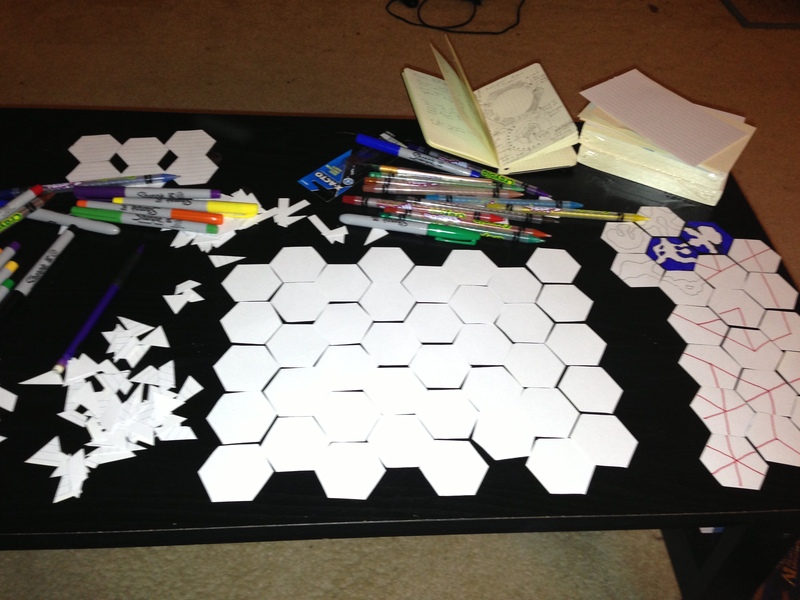 I created a template on a 8.5×11 sheet of paper that I could use to draw more tiles at a high resolution. 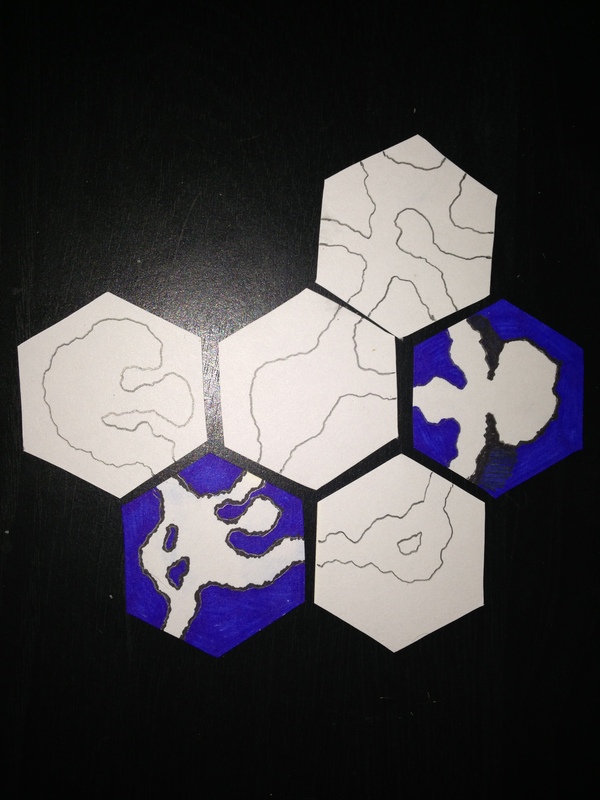 The idea was to draw each tile using the template to trace from, and then reduce the scanned tile to fit within the size of the hex tile. 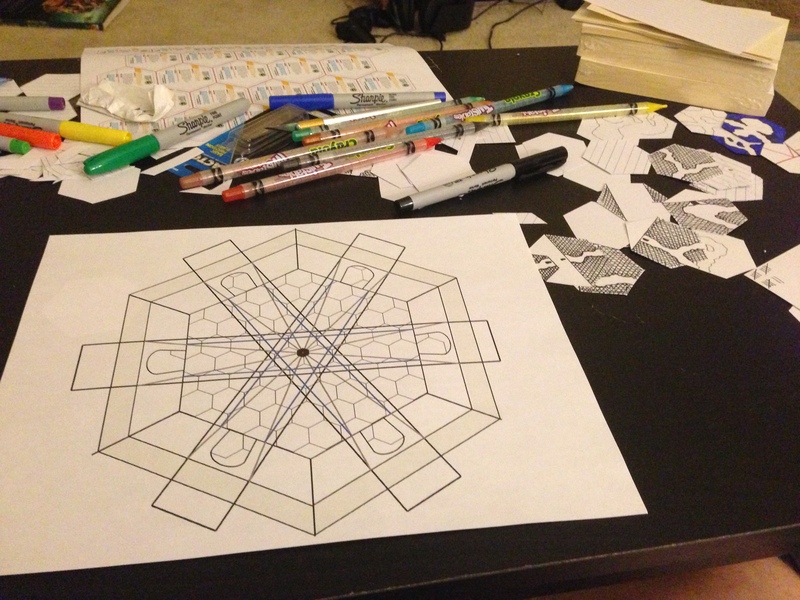 This entry was posted on Sunday, August 25th, 2013 at 3:20 am and is filed under Creativity, Games, Graphic Design, virtual environment. You can follow any responses to this entry through the RSS 2.0 feed. Both comments and pings are currently closed.